Benefits of Being a Fitzgerald-Ben Hill Co. Chamber of Commerce Member Newsletter: Digital copy of the Chamber of Commerce’s Friday News is sent out to members and social networking feeds at the first of each Friday. Showcase new product lines, business changes, employment opportunities and your upcoming events .Information must be supplied by Thursday of each week. Networking: The Fitzgerald-Ben Hill Co. Chamber of Commerce provides numerous opportunities to meet other business leaders in our community. 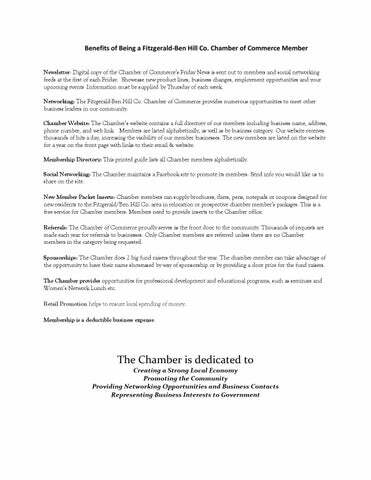 Chamber Website: The Chamber’s website contains a full directory of our members including business name, address, phone number, and web link. Members are listed alphabetically, as well as by business category. Our website receives thousands of hits a day, increasing the visibility of our member businesses. The new members are listed on the website for a year on the front page with links to their email & website. Membership Directory: This printed guide lists all Chamber members alphabetically. Social Networking: The Chamber maintains a Facebook site to promote its members. 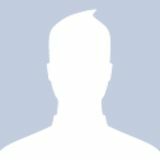 Send info you would like us to share on the site. New Member Packet Inserts: Chamber members can supply brochures, fliers, pens, notepads or coupons designed for new residents to the Fitzgerald/Ben Hill Co. area in relocation or prospective chamber member’s packages. This is a free service for Chamber members. Members need to provide inserts to the Chamber office. Referrals: The Chamber of Commerce proudly serves as the front door to the community. Thousands of requests are made each year for referrals to businesses. Only Chamber members are referred unless there are no Chamber members in the category being requested. Sponsorships: The Chamber does 2 big fund raisers throughout the year. The chamber member can take advantage of the opportunity to have their name showcased by way of sponsorship or by providing a door prize for the fund raisers. The Chamber provides opportunities for professional development and educational programs, such as seminars and Women’s Network Lunch etc. Retail Promotion helps to ensure local spending of money. Membership is a deductible business expense.